This career award has been established since 2014 to recognize for tireless ultrarunning enthusiasts who have worked long and hard to increase the profile of national and international ultrarunning. 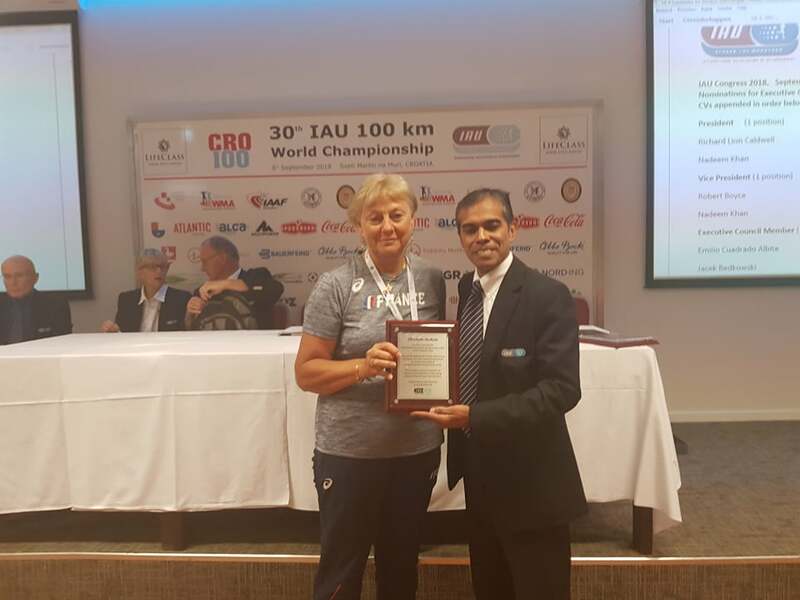 This prestigious honour recognizes the hard work and dedication in developing and promoting the sport over the years. We are committed to honouring the individuals who have paved the way of the sport for the future. 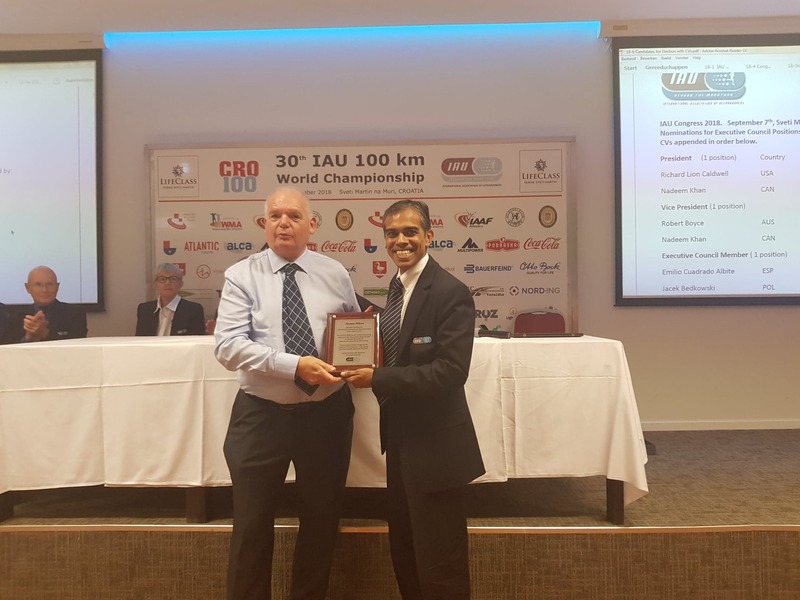 During the 2018 IAU Congress that took place on September 7th during the IAU 100 km World Championship, the Career Award went to Late Christophe Rochotte (passed away in June 2015) accepted by Marine Prevost and Norman Wilson. Both were recoginised in 2017.